As last year drew to a close, so did the life of my most cherished chihuahua, Rico. I'd had him for almost 16 years and over the past 3 or 4, I watched as he went mostly blind and began suffering with trachea collapse. After 4 visits to the doggie hospital for oxygen in December, he finally had his final ER visit on New Year's Eve and we made sad decision to have him put down. What a way for a year to end. By this time, I had already chosen my "Word of the Year" for 2018 which was Joy and was having trouble figuring out just what was joyful about little Rico's passing. I also decided that he was going to be my last dog because my husband and I are getting older and I didn't want to have a dog that would need to be "passed down" in the event of our deaths. 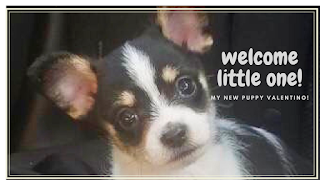 But, every day, I found myself cruising the online breeders for another chihuahua. 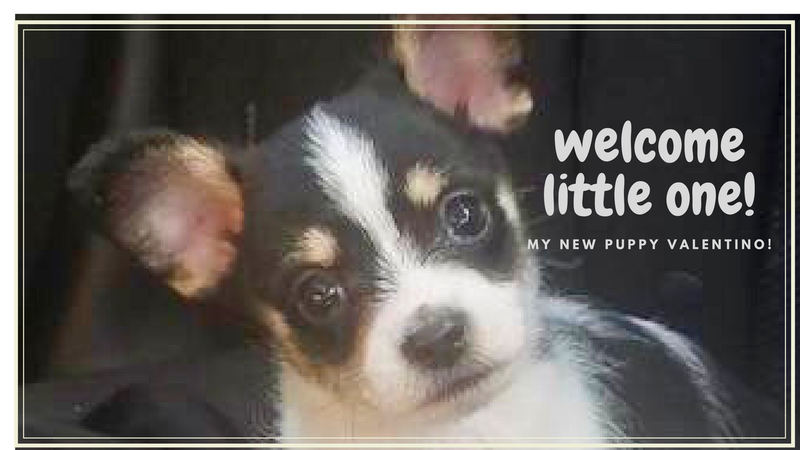 I visited the local pet shops with their super high priced dogs looking for a replacement for Rico, and had nearly given up when in my local Craigslist, I found this little guy! He is in fantastic health, smart, small, quick to learn and I'm in love! And his price was very affordable for a retired couple. Of course there will be shots and licensing and maintenance but he is going to be a small dog and we are hoping he fits into the budget as much as we think he will. I never thought in a million years that I would be able to get over my loss but hearts are resilient I think. Rico will NEVER be forgotten as well as all my other dogs, but for this moment in time, I feel so much joy and thankfulness. We named him Valentino because hey, he's a lady's man and hard to resist isn't he? And because its so close to Valentine's Day and because my husband agreed another dog would be ok. Happy Valentine's Day to US! 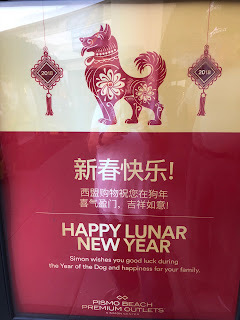 I took a walk this morning and saw a sign about the Chinese New Year and guess what year it is? That's right.... The Year of the Dog!! I would wholeheartedly agree! I'll be sharing his stories along with ours on here and you can watch him grow!